and the Houthis group (Ansar Allah) as part of his efforts to implement the Stockholm agreement concluded by the parties to the conflict, Yemen's internationally recognized government and the Houthis group, in Sweden's consultations last December. 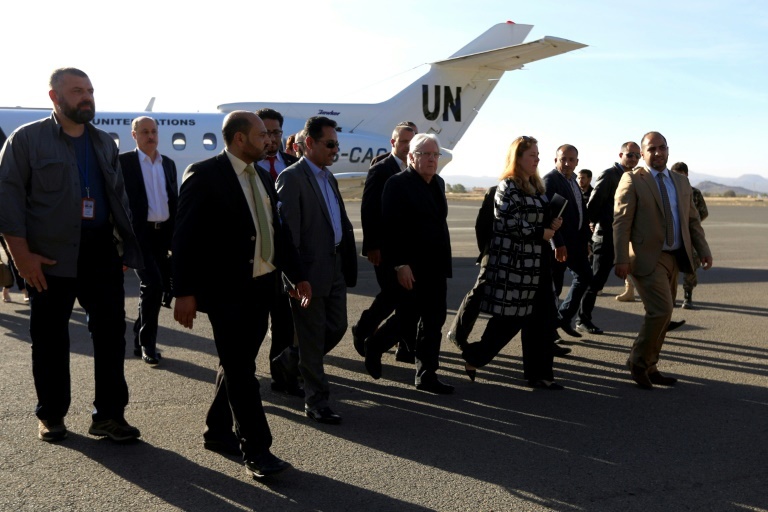 The efforts of the UN envoy are currently focused on overcoming the difficulties facing the implementation of the provisions of the Stockholm Agreement, especially with regard to the redeployment of the forces of the two parties in the province of Hodeida in western Yemen, and swap of prisoners and detainees. According to unnamed Yemeni diplomatic source, Sputnik news agency reported that Griffiths and Lollesgaard would discuss in Sanaa a proposal and mechanism for the deployment of the forces of the two parties to the Yemen's conflict in the province of Hodeida, west of Yemen, before discussing it with the leadership of the Houthis group.